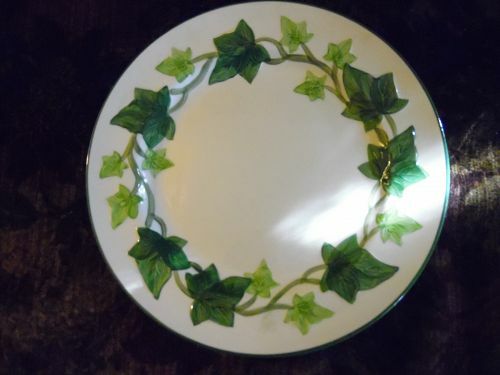 Old Franciscan "Ivy" pattern California pottery, made in USA. Stoneware. Cream background with two toned greens, light & medium, ivy on a vine. Dinner plate measure approx 10 3/8" across. We have just 1. I don't see any cracks or damage. Older semi circle mark Mde in California. 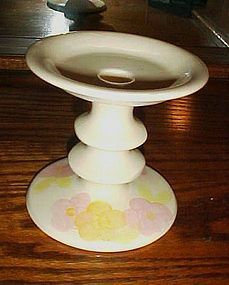 Franciscan Garden Party candle Holder, measuring 5 1/4" tall". Made 1974-1977 now discontinued. Franciscan Garden Party Yellow Pink Green Flowers candleholder. Item is in like new condition, with no chips or cracks. I just have one available, but will be listing other pieces of this pattern. I combine shipping. Please provide me with your zip code so I can calculate shipping for you. 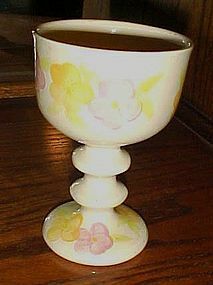 Franciscan Garden Party ceramic goblet, measuring 6 1/2"tall. Made 1974-1977 now discontinued. 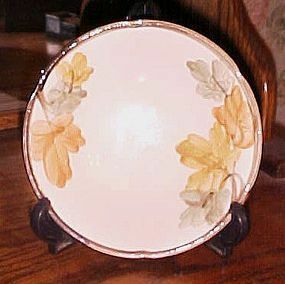 Franciscan Garden Party Yellow Pink Green Flowers covered cheese or butter dish. Item is in like new condition, with no chips or cracks. I just have one available, but will be listing other pieces of this pattern. I combine shipping. Please provide me with your zip code so I can calculate shipping for you. 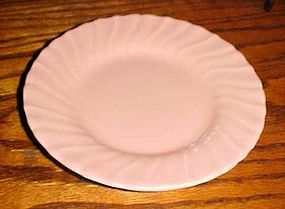 Franciscan Garden Party 10 3/4" Dinner Plate 1974-1977 now discontinued. 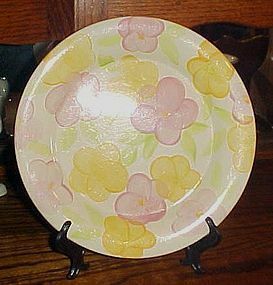 Franciscan Garden Party Yellow Pink Green Flowers 10 3/4" Dinner Plate. Item is in like new condition, with no chips or cracks. I just have one available, but will be listing other pieces of this pattern. I combine shipping. Please provide me with your zip code so I can calculate shipping for you. 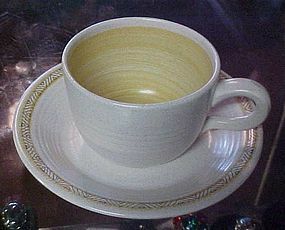 Pretty Franciscan saucer in the pretty October pattern. Pattern was made from 1977 to 1984. Lovely fall leaves pattern. 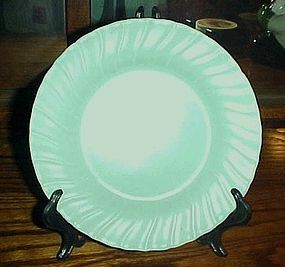 saucer is in perfect condition with no chips cracks or utensil wear. Simply beautiful. I have 4 that are perfect. 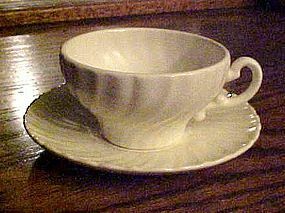 Price is per saucer. I will be listing other pieces to this pattern. 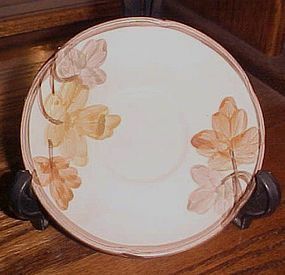 Pretty Franciscan 6 3/8" bread and butter plate in the pretty October pattern. Pattern was made from 1977 to 1984. Lovely fall leaves pattern. 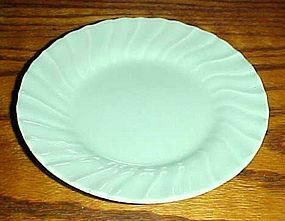 Plate is in perfect condition with no chips cracks or utensil wear. Simply beautiful. I have 2 that are perfect. Price is per plate. I will be listing other pieces to this pattern. 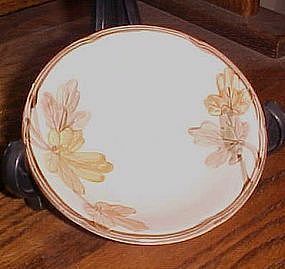 Pretty Franciscan 5 1/4" fruit or sauce bowl in the pretty October pattern. Pattern was made from 1977 to 1984. Lovely fall leaves pattern. 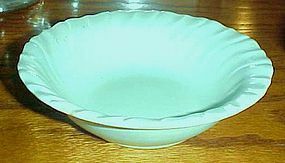 Bowl is in perfect condition with no chips cracks or utensil wear. Simply beautiful. I have 2 that are perfect. Price is per bowl. I will be listing other pieces to this pattern. 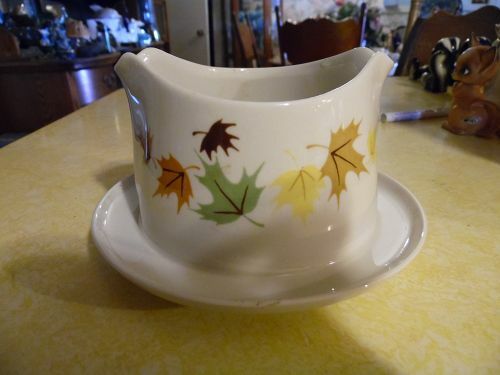 Pretty Franciscan 7" coupe cereal bowl in the pretty October pattern. Pattern was made from 1977 to 1984. Lovely fall leaves pattern. 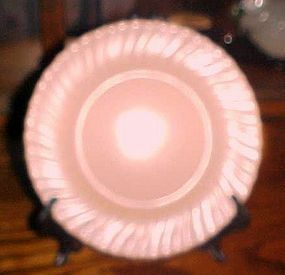 Bowl is in perfect condition with no chips cracks or utensil wear. Simply beautiful. I have 5 taht are perfect plus (2 that have damage at 1/2 price) Price is per bowl. I will be listing other pieces to this pattern. There is not damages to the one in the ohoto, its just the glare from the light. 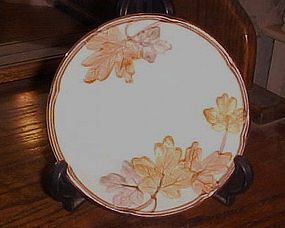 Pretty Franciscan dinner plate on the pretty October pattern. Pattern was made from 1977 to 1984. Lovely fall leaves pattern. 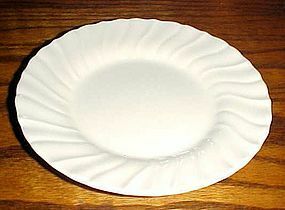 Plate is in perfect condition with no chips cracks or utensil wear. Simply beautiful. 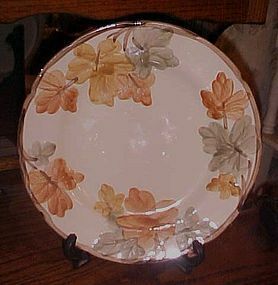 I just have one plate but will be listing other pieces to this pattern.